Are you getting bad gas mileage? Do you smell gasoline while your car is running? Is your vehicle running rough or misfiring? These symptoms can indicate a problem with your fuel system such as a bad fuel pump, bad fuel injectors, or maybe just a dirty fuel system. Contact us today to schedule a State Inspection appointment or make a reservation online. 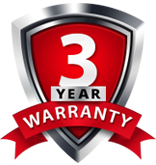 You can count on our repair shop for an honest and reliable diagnosis of problems and quality repair.